BULGER, ANDREW H., soldier, office holder, and colonial administrator; b. 30 Nov. 1789 in Newfoundland, son of John Bulger and Catherine Foran; d. 2 March 1858 in Montreal. 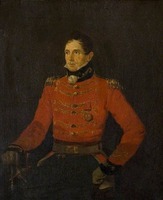 Andrew H. Bulger was appointed ensign in the recently established Newfoundland Regiment of Fencible Infantry on 26 Oct. 1804, and within two years he received his commission as lieutenant. 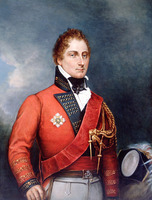 He served with his unit, which became the Royal Newfoundland Regiment in 1806, in Newfoundland, Nova Scotia, and Lower Canada until the outbreak of war with the United States in 1812 when he was sent to the Niagara frontier in Upper Canada to serve under Major-General Isaac Brock*. He was present at the capture of Detroit in August 1812, and that fall he was attached to the naval force which harassed the enemy along the upper St Lawrence. He also participated in the battles of Fort George (Niagara-on-the-Lake, Ont.) and Stoney Creek [see John Vincent*] in May and June 1813 and in the battle of Crysler’s Farm in November. As adjutant to Lieutenant-Colonel Robert McDouall*, Bulger was with the reinforcements sent to Fort Michilimackinac (Mackinac Island, Mich.) in 1814. The force of 10 officers and some 200 men left Kingston in early February, and after a difficult winter trek by way of Lake Simcoe to Georgian Bay they proceeded by boat, arriving at the fort on 18 May. The repulse of an American attack on 4 August, coupled with the daring capture of the American schooners Tigress and Scorpion in early September [see Miller Worsley*], ensured British supremacy on the upper Great Lakes for the duration of the war. Bulger was prominent in both of these engagements and was slightly wounded during the boarding of the Tigress. In October Bulger, with the local rank of captain, was appointed commandant of Fort McKay, at Prairie du Chien (Wis.) on the upper Mississippi River, an American fort captured in July by William McKay*, commander of the Michigan Fencibles, a provincial corps. The situation at Fort McKay was both dangerous and delicate, but through determined leadership Bulger preserved the security of the 200 French Canadian inhabitants of the area and maintained the Indians’ allegiance to the British flag. In early January 1815 he suppressed a near mutiny among the Michigan Fencibles, stationed at the fort, by convening a general court martial and having the three worst offenders summarily flogged. News of the peace settlement signed at Ghent (Belgium) on 24 Dec. 1814 reached Prairie du Chien in April 1815. Bulger succeeded, with some difficulty, in convincing the Indian allies on the upper Mississippi to ratify the treaty, which recognized American sovereignty over the area south of the lakes. Then on 24 May, after distributing food and gifts among them, he burned the fort and abandoned the area to American occupation. He proceeded by way of Michilimackinac to Quebec where he learned to his “mortification” that he had not received the captaincy to which McDouall had recommended him in late 1814. The Royal Newfoundland Regiment was disbanded in June 1816 and he was placed on the half-pay list as lieutenant. Bulger spent most of the next few years in England where he attempted to gain remuneration for his services during the war, a military appointment, and promotion to half-pay captain. Although his several applications were always fully supported by senior British officers, it was not until 1820 that he finally succeeded in obtaining a compensation of £500 and military allowance equal to the half pay of a captain. 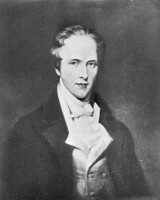 In the winter of 1821–22 Hudson’s Bay Company director Andrew Colvile, upon the recommendation of Sir Gordon Drummond and on behalf of the executors of the estate of Lord Selkirk [Douglas*], offered Bulger a three-year appointment as secretary and registrar for the Red River settlement (Man.). He was also to form and train a militia force of 100 settlers. Bulger accepted the offer and, in order to bolster his authority in the colony, he was made governor locum tenens of Assiniboia, at a salary of £250. He arrived at Red River on 28 June 1822 and within a few weeks he was so thoroughly disillusioned with his “life of slavery and of exposure to the insults and threats of some of the most worthless of God’s creatures, in one of the most miserable countries on the face of the earth,” that he submitted a year’s notice of his intention to retire. Bulger also deplored the lack of a military or police force to provide him with the power to maintain order within the colony and to preserve it from the constant threat of attack from the Sioux. Bulger had written a lengthy letter to Colvile in December 1822 about the state of the colony. He recommended that a system of courts and magistrates be set up, that a company of troops be sent to the colony to enforce the laws and keep the natives in order, that the settlers be allowed to purchase provisions and skins for clothing from the Indians and Métis, and that money be circulated. He also asked Colvile to find a market for the colony’s surplus grain. “If these things cannot be done,” he warned, “spend no more of Lord Selkirk’s money upon Red River.” Although his recommendations concerning provisions and currency were implemented by return post, the appeal for troops and markets remained unsatisfied for many years. Bulger left Red River in August 1823 and returned to England. 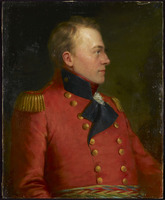 Although he had made enemies in the colony and was later criticized by HBC governor George Simpson as wasteful and extravagant, he had inspired confidence and loyalty in his councillors and was appreciated by the settlers who credited him with bringing peace and prosperity to the settlement. In the summer of 1825 Bulger sailed for Quebec to become principal and confidential clerk to the military secretary. His health, never again robust, continued to deteriorate. He was none the less conscientious and industrious in the service of Quebec’s various military secretaries. In 1839 he moved with the civil administration to Montreal, where he continued to serve faithfully until his death in March 1858. He would appear to have been survived by his wife, Alicia. 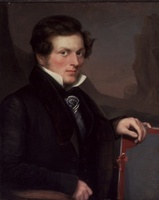 Bulger reached the height of his career at an early age, and his service after 1823 was largely uneventful. Bold, dedicated, and guided by a rigid code of honour and duty, he was also at times pompous, easily affronted, and intolerant of any challenge to his authority. In later life Bulger was prone to glorify his achievements in the War of 1812, but even he seemed not to recognize the fine service he had rendered the Red River settlement in its struggle for life. Andrew Bulger’s papers, which include documents on his military career from 1810 to 1815 and on his administration in the Red River Colony, are in PAC, MG 19, E5. His correspondence concerning events at Prairie du Chien during the War of 1812 is printed in Wis., State Hist. Soc., Coll., 13 (1895): 10–153, and one letter, Last official letter from Captain Bulger to Lieutenant Colonel M’Douall (n.p., n.d.), was issued as a pamphlet. Bulger prepared a short autobiography which was published several years after his death by the 10th Regiment of the British Army serving in India, under the title An autobiographical sketch of the services of the late Captain Andrew Bulger of the Royal Newfoundland Fencible Regiment (Bangalore, India, 1865). The regiment also printed Bulger’s Papers referring to Red River settlement, Hudson’s Bay territories (Bangalore, 1866). ANQ-M, CE1-81, 5 mars 1858. PAM, HBCA, D.4/87: f.1. Canadian North-West (Oliver). Officers of British forces in Canada (Irving). C. [M.] Livermore, Lower Fort Garry, the fur trade and the settlement at Red River (Can., National Parks and Hist. Sites Branch, Manuscript report, no.202, Ottawa, 1976). R. S. Allen, “The British Indian Department and the frontier in North America, 1755–1830,” Canadian Hist. Sites: Occasional Papers in Archæology and Hist. (Ottawa), no.14 (1975): 5–125. A. E. Bulger, “Events at Prairie du Chien previous to American occupation, 1814” and “Last days of the British at Prairie du Chien,” Wis., State Hist. Soc., Coll., 13 (1895): 1–9; 154–62. B. L. Dunnigan, “The battle of Mackinac Island” and “The Michigan Fencibles,” Mich. Hist. (Lansing), 59 (1975): 239–54; 57 (1973): 277–95. G. F. G. Stanley, “British operations in the American North-east, 1812–15,” Soc. for Army Hist. Research, Journal (London), 22 (1943–44): 91–106. Robert S. Allen and Carol M. Judd, “BULGER, ANDREW H,” in Dictionary of Canadian Biography, vol. 8, University of Toronto/Université Laval, 2003–, accessed April 22, 2019, http://www.biographi.ca/en/bio/bulger_andrew_h_8E.html.